Dubai, UAE - 26 June 2018: Running until August 25th, 2018, guests visiting ‘At the Top, Burj Khalifa’, will have the opportunity to enjoy a taste of Modhesh World, one of the largest indoor family entertainment destinations in the region, through an interactive entertainment experience on Level 112 this summer. This year’s Modhesh World is promising to offer families and children the chance to embark on a fun-filled journey, taking family outings to a completely new level as the top destination for indoor summer fun. The experience on Level 112 will feature a stage with five live shows daily, entertaining acts, mini carnival games, a ‘Meet & Greet’ with Modhesh and much more interactive fun. Suhaila Ghubash, Director, Festivals and Events, DFRE, said: “Modhesh World has an established place in the hearts and minds of people in Dubai and this summer, we wanted to offer a different experience, broadening the reach of Modhesh to connect with a wider community. The Burj Khalifa activation is aimed at targeting those who are visiting Dubai and to spread the Modhesh love to beyond the halls of the Dubai World Trade Centre!”. Running from 7 June to 25 August under the theme ‘My Modhesh, My World, the 19th edition of Modhesh World in partnership with DEWA features a range of events and activities that will take place in eight distinctive halls at the Dubai World Trade Centre. Modhesh World is organised by Dubai Festivals and Retail Establishment (DFRE), an agency of the Department of Tourism and Commerce Marketing (Dubai Tourism). Modhesh World has been the ideal outing for families and their children since it opened in 2000, combining both education and fun for the ultimate summer experience. The variety of attractions offered are accompanied with a variety of retail options and F&B outlets, making Modhesh World one of the most unforgettable summer experiences in Dubai. 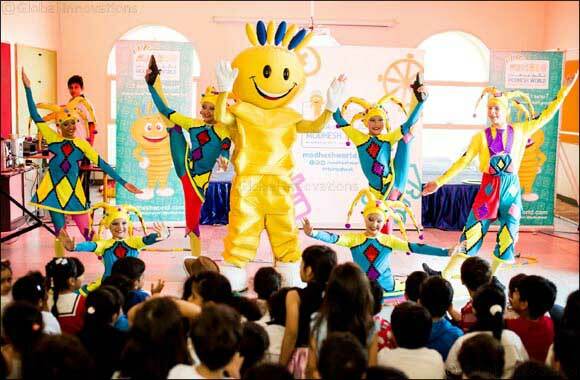 The event also complements the annual Dubai Summer Surprises, an annual festival organised by DFRE to reinforce Dubai’s position as a top summer family destination. Experience Modhesh World at Burj Khalifa for an additional AED 15 only, with every At the Top, Burj Khalifa ticket. These can be purchased on the Burj Khalifa website and at the tickets counter at Burj Khalifa. 4 years and below will be free of charge.